Highlighting the international collaborative research paper from last week’s DiGRA 2013 conference: “Disciplinary Identity of Game Scholars: An Outline”. Written by myself, Jan Van Looy (Belgium) and Thorsten Quandt (Germany), it is the first take at the interesting survey data coming from the large game researcher community survey carried out last October. In summary, it points out that while large majority of people affiliated with the DiGRA, ECREA and ICA mailing lists and special interest groups self-identify as digital games researchers, they are coming from very diverse disciplinary backgrounds. The paper reveals the range of this multidisciplinarity as well as the high level of dynamism in this field: 45 % of the respondents reported their current primary research field as being different from the one of their original, highest degree. Domestic and international collaboration was also very common, as well as 39 % reported having collaborated with industry. 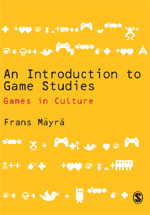 As a conclusion, there both appears to be features of emerging disciplinary cluster of game studies in this field, while it is also important to recognize many significant tensions, as different parts of this multidisciplinary scholarly community would prefer evolution of game studies, and the work of its academic institutions, to focus in clealry different issues. Having conferences, seminars and journals that are open for dialogue and work rooted in different traditions is particularly important considering this academic context. Citation: Mäyrä, Frans, Jan Van Looy & Thorsten Quandt (2013) “Disciplinary Identity of Game Scholars: An Outline”. 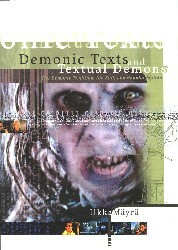 Proceedings of DiGRA 2013. Atlanta: DiGRA & Georgia Tech.